New Justin’s® cinnamon almond butter featured on Hollywood insider Ryan Seacrest’s website. I loveeee me some almond butter. I normally get it at my local farmers market, but I do really like Justin’s brand as well! 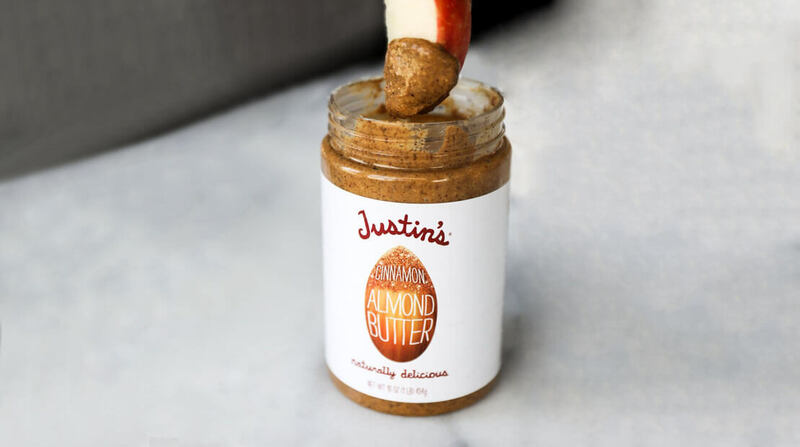 The popular almond butter co has a wide arrange of flavors – everything from maple, vanilla to honey and now they are adding cinnamon to the lineup! Cinnamon sounds like the perfect accompaniment to almond butter! Don’t ya think?? Plus it has SOOOO many amazing health benefits like lowering your blood sugar levels, reducing heart disease factors…just to name a few. Apparently the new flavor is hitting grocery store shelves soon if you haven’t already spotted it at your local shop or at Target! It will also come in to-go packets which are amazing when you’re constantly on the run like myself.